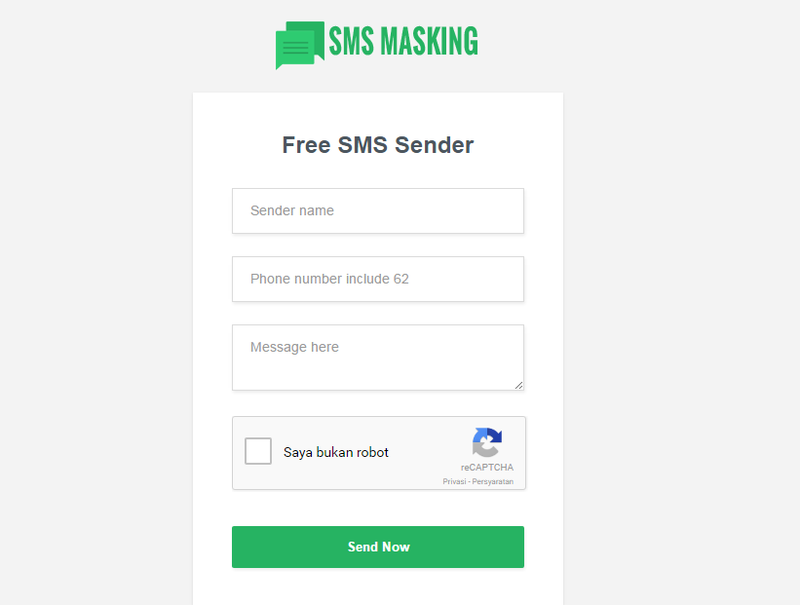 SMS Masking Script Free Download - SMS Maskin service is SMS Sender Identity broadcast which appears on the screen Mobile Receiver SMS can be changed according to what you want, to the Company Name, Name Institution / Organization, Name of Products / Services and others. With SMS Masking , messages or information that you submit will be more credible and more professional and will certainly give a positive image to the SMS you send because it will not be regarded as Dark SMS or text message number is not clear. Here are some SMS allotment Masking which is certainly not binding and you can adjust to your needs or your company or business. SMS Masking can be used to convey my congratulations as a birthday greeting, religious holiday or greeting the new year. With the advent of Identity name in the phone receiver in addition to congratulating, indirectly strengthening the positive image of the Identity name is used. SMS Masking can also be used for the delivery of messages in the form of an announcement, say the announcement will be their workshops or seminars and so forth. SMS Masking can be used to provide information such as payment due reminder bills and so forth. Reminder maturing bills will be more credible in the eyes of clients / customers when using SMS Masking than when using regular SMS Broadcast. 0 Response to "SMS Masking Script Free Download "